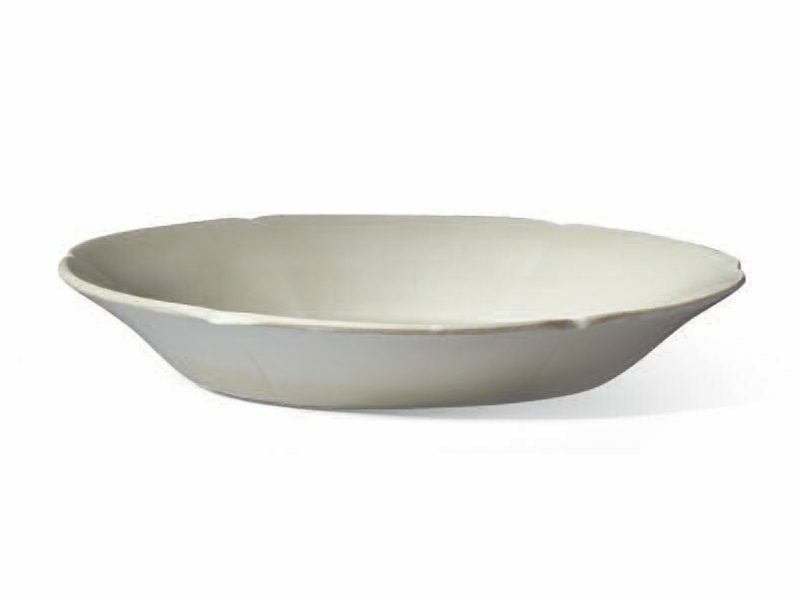 A white stoneware dish, the broad rim rising steeply from the flat base and divided into six lobes. The exterior of the rim is incised with six lines. The thinly potted stoneware is covered in an ivory tinged glaze that leaves only the outer edge of the rim, where the glaze has been wiped away, unglazed. 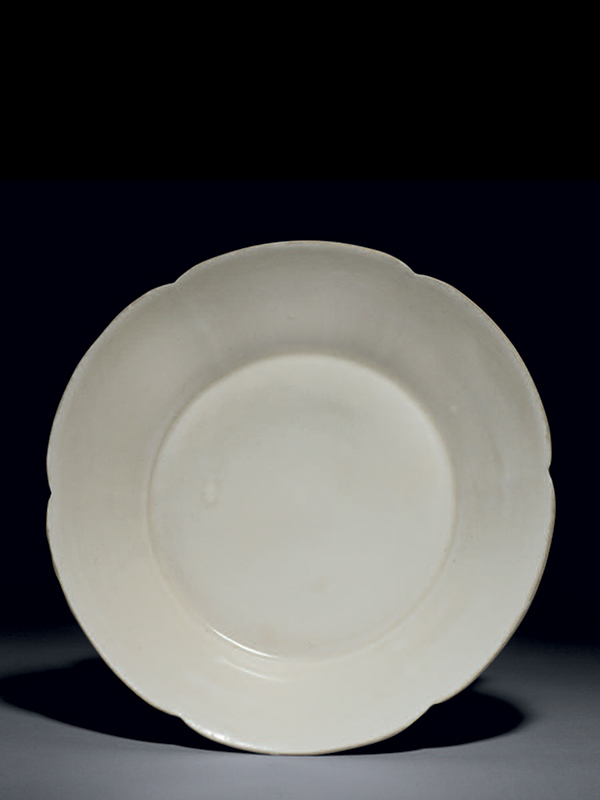 The combination of hard paste, thin potting and ivory tinged glaze suggests that this superbly elegant dish was most probably made in the ding kilns, situated in present­-day Quyang county in Hebei province, south­-west of Beijing. The fact that the rim of this delicately potted dish was wiped clean of glaze indicates that it was fired upside­-down, a way of firing that was first used in the ding kilns to prevent warping in the kiln. Ding ware is regarded as one of the classic wares of the northern Song period and despite not being translucent, the hard white ware is often classified as porcelain. The interaction between metal, lacquer and ceramic forms is omnipresent in the Song dynasty and this dish is no exception; silver and lacquer dishes of exactly this form exist. A practically identical Northern Song ding dish is in the collection of the Palace Museum, Beijing. Another pair of ding dishes of similar form and slightly smaller in size was excavated in Kaesong city, in the southern part of North Korea, and dated to the Northern Song dynasty. They are now in the collection of the National Museum of Korea.